Cristiano Ronaldo said Portugal have "dreamed" of making the final of Euro 2016 "since the very beginning." Portugal progressed to the tournament's final after beating Wales 2-0 and Ronaldo opened the scoring himself with a superb headed goal in the 50th minute. 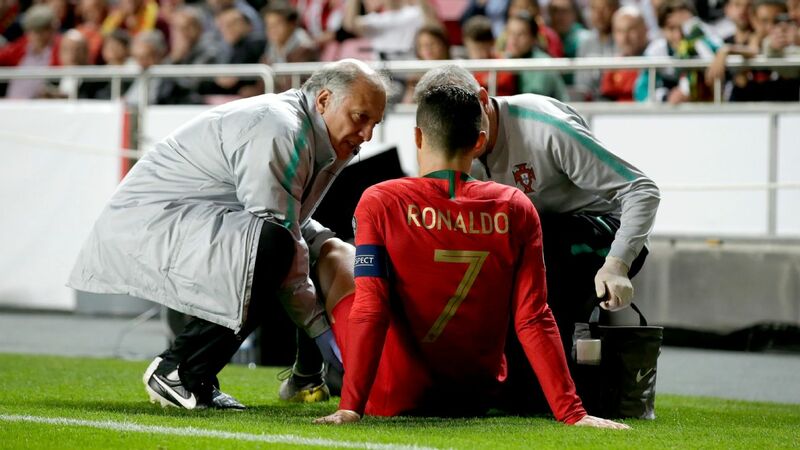 But despite his own individual performance, he preferred to focus on the entire team right down to medical staff. "It's what we have dreamed of since the beginning," Ronaldo said. "We knew it would be a long road and we're still in the tournament. "We have believed right from the start. We had difficult moments, but it's like I always say: It's better to start poorly and have a positive ending. "The players deserve it, the coach deserves it. The entire medical staff as well. They have been doing an excellent job with the players' fitness. "We haven't won anything yet as I said a few days ago, but the dream is still alive." The Portugal captain hailed the team's togetherness throughout the tournament, and said he always believed they would advance to the latter stages of the competition. "Of course we are a team. The national team are a unit. That's how we've been acting since the start. I've tried to help out, not just by scoring goals but by fighting, scrapping," Ronaldo told UEFA. "To get to the final you have to have all 23 players in the squad fighting. "I'm very happy. I believed in my heart that we'd go far. Maybe it didn't start as we wanted to but this is not a 100-metre race. This is a marathon." He added: "Portugal are not just about Cristiano Ronaldo, we are a team. But I was able to score today and I've helped the team get to the final by scoring a goal." Ronaldo opened the scoring in the 50th minute and his deflected shot set up Nani's second. Teammate Cedric Soares was also full of praise for his nation's performance, and said they will prepare the best they possibly can for Sunday's game. "This is all about winning and that's why we're going to Paris," said Soares, whose team will face either France or Germany in the final on Sunday. "France and Germany are both amazing teams, but we'll prepare the best we can for the final. "It's amazing. Incredible to be in the final, it defies description but we've earned this, we deserved the congratulations. "We were united, focused, but we have to congratulate Wales too, it was the first time they reached the semis, we knew they were a good team but we came out on top." Ronaldo and Portugal were stunned on home soil in the final of Euro 2004 by unlikely champions Greece in the former Manchester United star's first taste of the tournament. "Euro 2004 was special, I was just 18 and it was my first tournament. Now we are in the final again and we hope we will win it," Ronaldo said. "I didn't think many people thought we would make the final but we have and that makes me very proud." Portugal forward Nani, who scored the second against Wales on Wednesday, admitted his goal came as a surprise and said the victory was cause for celebration. "It's a weird feeling [to have scored]," Nani said. "It was a surprise goal; it was instinct. "I didn't even have time to prepare my celebration. I just wanted to celebrate and dedicate the goal to my family who were there in the stands. "I'm very happy to play my part and help our national team. It's an honour to represent our country -- this amazing national team that's doing an excellent job. "At this moment we have to celebrate, because it's an amazing moment. It's a historic moment for our country. And we have to celebrate."